Sustainability and listening to coffee lovers have been the cornerstones of Paulig’s operations throughout the company’s 140-year history. 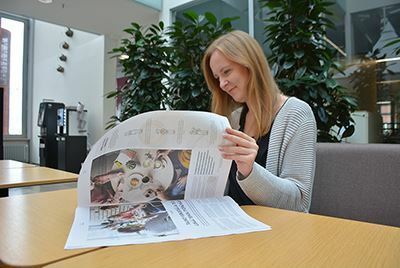 Paulig wants to be open concerning its work and actions promoting the bright future of coffee, from plant to cup. The #Beanthere magazine includes an extensive review of Paulig’s sustainability work in the whole coffee value chain. #Beanthere magazine is available as printed and digital versions, both in Finnish and in English. The coffee value chain consists of multiple phases. Cooperation and partnerships play key roles in Paulig’s sustainability work. “We participate actively in developing coffee farming in the origin countries, e.g. by supporting the profitability of farming. We also build wellbeing in the local communities. Through our partnership programs we have reached approximately 100 000 coffee farmers. We are founding members in the International Coffee Partners and Coffee & Climate initiatives,” tells András Koroknay-Pál, who is Head of Sourcing at Paulig Coffee. A deep knowledge of the origin countries is at the core of our sustainability work. 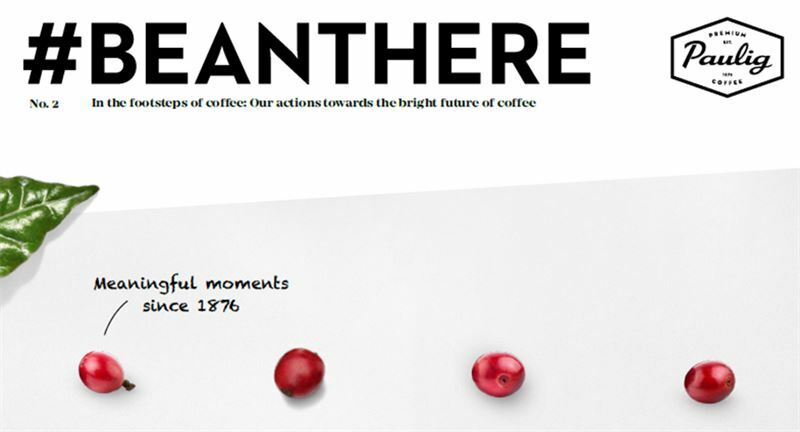 In the #Beanthere magazine, our day-to-day sustainability work in the origin countries is presented through the year-long coffee journey of our Sourcing Manager Anna Vänskä. Coffee traceability is also covered in the publication and people working with coffee at Paulig are introduced. There is also information about how sustainability is taken into account in our Out-of-Home coffee solutions at offices and what kind of innovative environmental actions have been carried out in the Baltics. Climate change is a serious threat to coffee and that is why Paulig has worked for the climate with a long-term approach. The company is committed to decreasing its climate impacts by 40 percent by the end of 2020 through investing in energy efficiency and renewable energy. All Paulig coffee has been roasted with biogas in Vuosaari since 2015 and all the energy used by the roastery is renewable. Paulig roasts approximately every 100th coffee bean produced in the world – around 60 million kilos of coffee every year. “In Finland, we drink the most coffee per person annually, so us if anyone has a chance to impact the bright future of coffee through our own choices. We are doing everything in our power so that coffee lovers can gladly buy and enjoy their coffee. We are committed to ensuring that all our coffees are verified sustainable," says Koroknay-Pál. Paulig achieves a significant goal by the end of this year: all Paulig coffee will be sourced through our partnership programmes or have UTZ, Rainforest Alliance or Fair Trade and Luomu (Organic) certification. Read more about Paulig’s sustainability work from Paulig Group Sustainability Report 2017. Read the tabloid in English here. Read more about the sustainability work of Paulig Coffee here.